Aboriginal people lived in all parts of Australia before European settlement in 1788, in very different environments. We know that they learned how to use the environment wherever they were – in jungle, or desert, or river valleys, on coasts, or grasslands, or swamps. But did they all live in the same way? Eat the same food? Have the same dwellings? Use the same tools? And how can we possibly hope to answer these questions? This unit asks you to try to answer some of these questions by looking at early paintings, reading stories, investigating Aboriginal plant use, and exploring the impact of climate on the way people lived. Activity 1 What was life like for Aboriginal people before the arrival of the Europeans? Activity 2 How did Aboriginal people come to Australia? 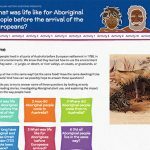 Activity 3 Where did Aboriginal people come from to Australia? 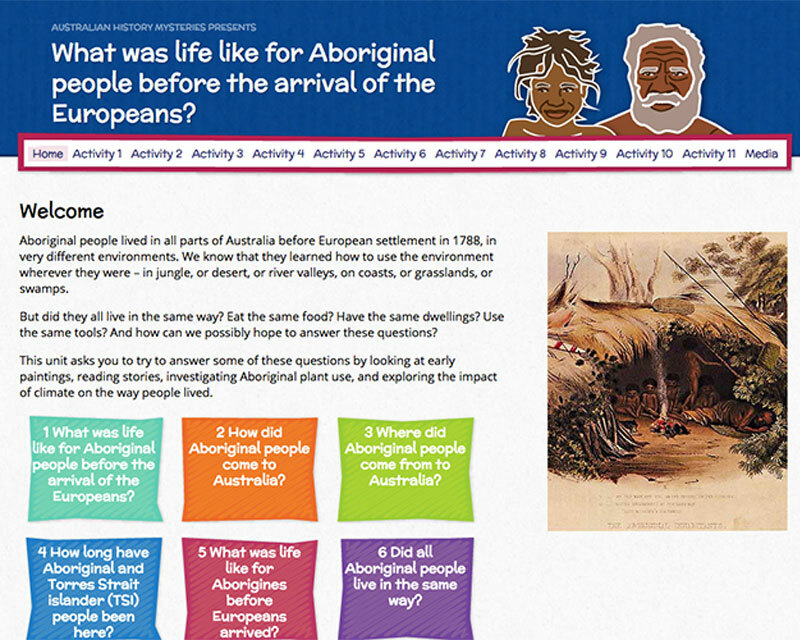 Activity 4 How long have Aboriginal and Torres Strait islander (TSI) people been here? Activity 5 What was life like for Aborigines before Europeans arrived? 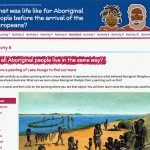 Activity 6 Did all Aboriginal people live in the same way? Activity 7 How did Aboriginal people use native plants? Activity 8 What type of shelters did Aboriginal people build? Activity 9 How did Aborigines make tools? Activity 10 Did Aborigines speak different languages?